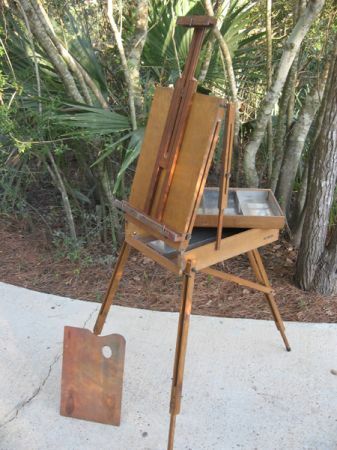 Selling a Grumbacher folding transportable easel no. 286, made in France.Shows a little rust on the clasps.Works good and is sturdy. 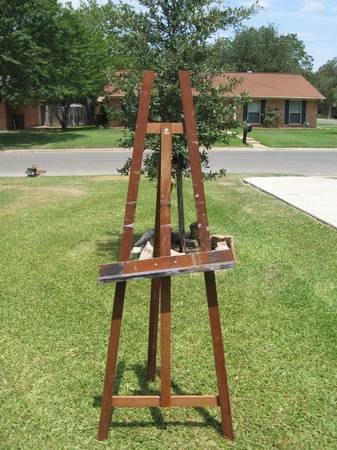 Very nice all wood artists easel. Full height 7 feet. will collaps flat to store under bed or sofa. Wheels on bottom. Adjustable. No checks. Great condition, but not new, because it isnt Excellent gift for artists, or to ingite your own creativity. Portable. Made in France.